This was an interesting challenge, we were asked to make a project that contains something unexpected. 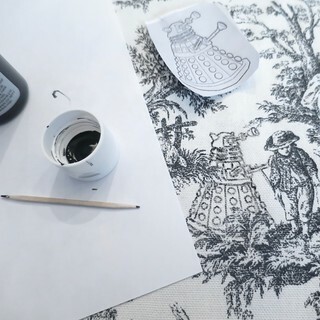 I’d been wanting to play with adding things to classic toile fabric for awhile so this was a good opportunity for this. 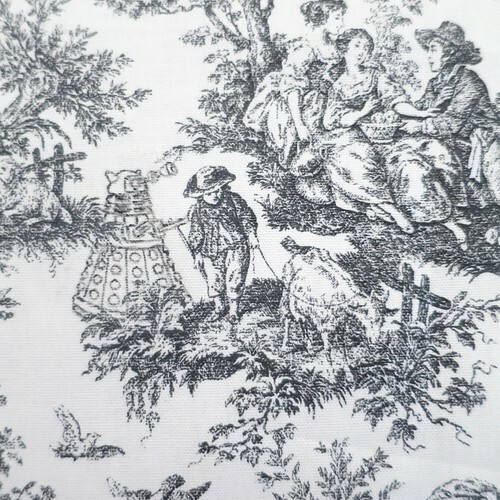 My plan was to embroidery things from Doctor Who into the pastoral scenes on the fabric. 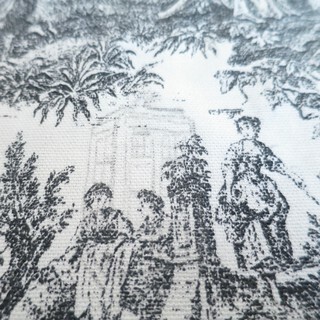 It was a little tricky to find the fabric as the ladies at Joann didn’t know what toile was! Finally, I showed them a picture and they found it in black and white and blue and white in the upholstery section. When I sat down to draw my pattern onto the fabric, I realized I didn’t want to do embroidery because it would stand out too much. I wanted to do something that made the things I was adding look like they were part of the original fabric. What I ended up with was simply drawing the designs in with paint the same color as the printing. I think the effect is really great. Susi didn’t even notice I had added the Tardis when I first sent her this picture. 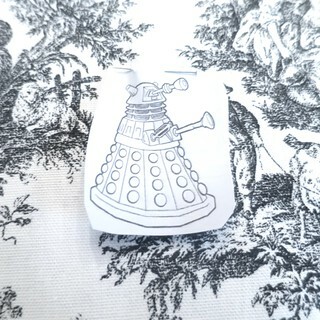 I also did a dalek, but I don’t think it was as successful as the Tardis. Because the original print was so busy and close together, it was a little tricky to find good place to add my little extras. 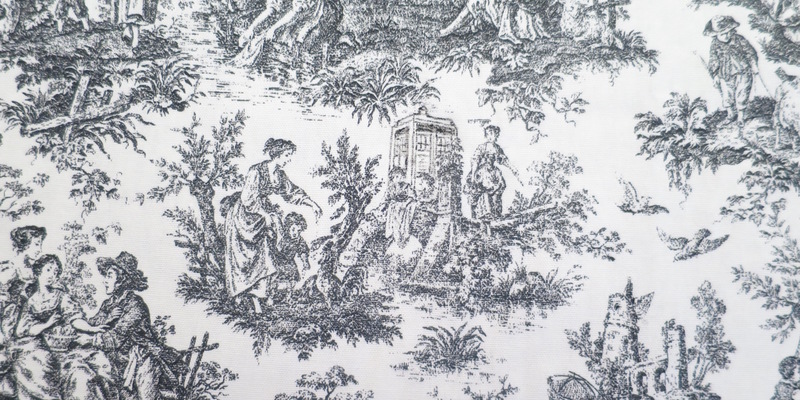 If you can find a toile that is a little more open, it would be even better for this. 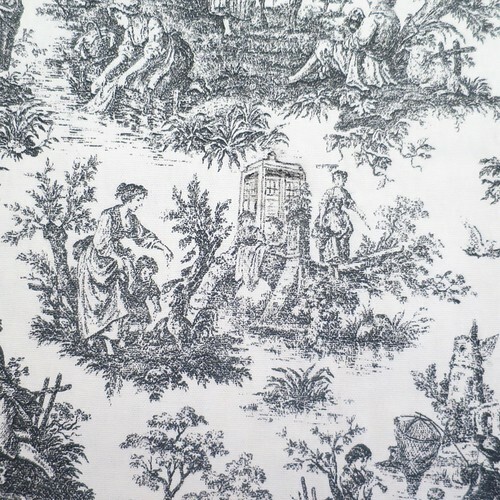 You can also buy Doctor Who toile already printed on Spoonflower. 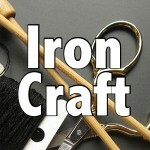 Now that I have my fabric done I need to decide what I want to do with it. I’m thinking probably a throw pillow or perhaps framing the fabric to hang. Though I am also tempted to do a bag of some sort. What would you do? You don’t have to do Doctor Who of course, you could add sea creatures or anything else. 1. Figure out where you want to place your image in the pattern on the fabric. Measure to find out how big your image needs to be. Print or copy the image to the correct size. You’ll also want to pay attention to the direction it faces. 2. Cut the image out from the sheet of paper leaving enough white space around it to pin it in place. Pin where you want it on the fabric. Pinning it keeps it from moving around too much while you trace the image. Slide the tracing paper between the image and the fabric, make sure the active side is facing the fabric. 3. 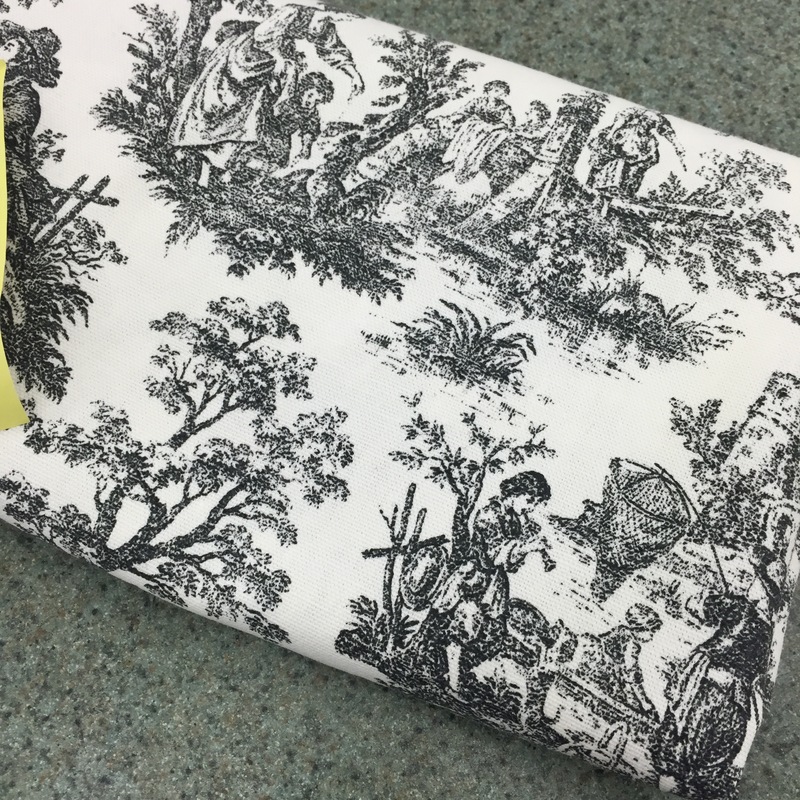 Use a ballpoint pen (or anything else with a hard tip) to trace the image onto your fabric. You want to push hard enough to get the tracing medium on the fabric, but not so hard you cut through with the pen. I actually really like to do this with a pen that is out of ink, so there is no worry if I do break through. 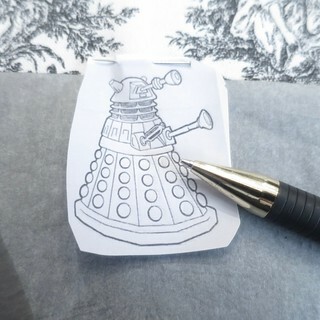 Remove the paper image and tracing paper. 4. Use the tip of a toothpick and fabric paint to draw over the image you traced on the fabric. I liked to use a toothpick rather that even a tiny brush because I could get better thin lines. Just put a little paint on the tip at a time. It is best to start light and build up the image. You want it to look as much like the print already on the fabric, so use that as your guide for shading and how solid lines should be. Layering it so it looks like some of the plants and such are in front of your addition really makes it blend in. 5. Let the paint dry and follow any instructions for setting it. Usually, you need to press it with an iron. What an amazing project. Well done. I didn’t catch it at first. Nice blending. Wow! Love the details and perfectly applied. Using fabric suggestions: lamp shade, pillow/black fringe, table topper, ottoman cover, pillow sham, framed fabric art, covering a fabric box or journal cover.